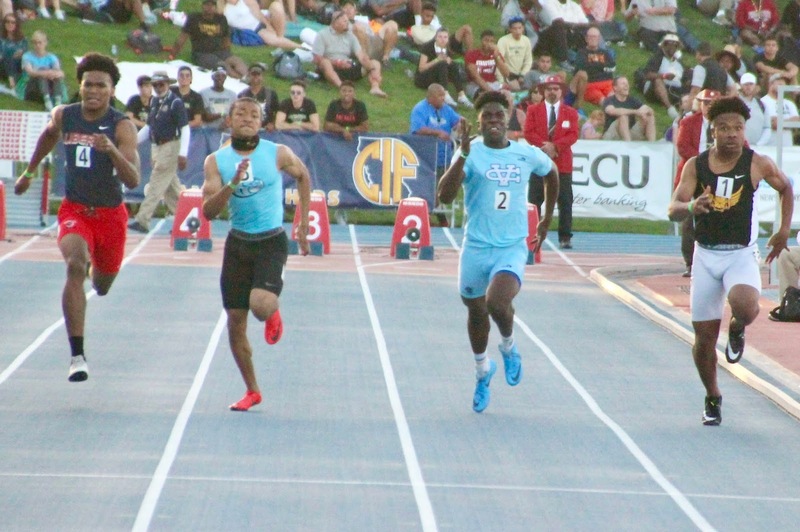 Clovis, CA - The Valley Christian boys were a near miss in the 4x100 meter relay, falling short of a qualifying spot in the finals by just 0.11 of a second. It was their second best performance of the season following their 41.85 run at CCS Finals the week earlier. 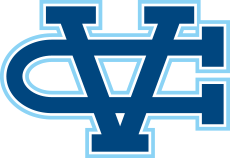 The Warriors were running in their second consecutive state meet in the event finishing 13th the year before in 42.15. This year the team of Deven Vanderbilt, Coleman Kyles, D'Von Lang and Nick Trofort finished in 42.10, third in their heat and 12th over-all. The relay was just one of three events for Trofort who also was competing in the 100 & 200 meters winning both events at the CCS Championship. Trofort finished 21st in the 100 with a time of 10.96. Trofort shot out in the 200 meters making up the stager in the first two meters. Announced as one of the leaders off the far turn a twinge in his hamstring made him pull up and limp across the finish line in 23.65. The relay team finishes the season #3 all-time in school history, hitting a qualifying time for the national championship. Trofort graduates #7 all-time on the 100 meters and #4 all-time in the 200 meters.